The Southbank has undergone a revival in recent years and is now a great place to hangout, especially in the summer. However, the food and drink scene is very much aimed at tourists, with large chains like Giraffe, Strada and Wagamama dominating. 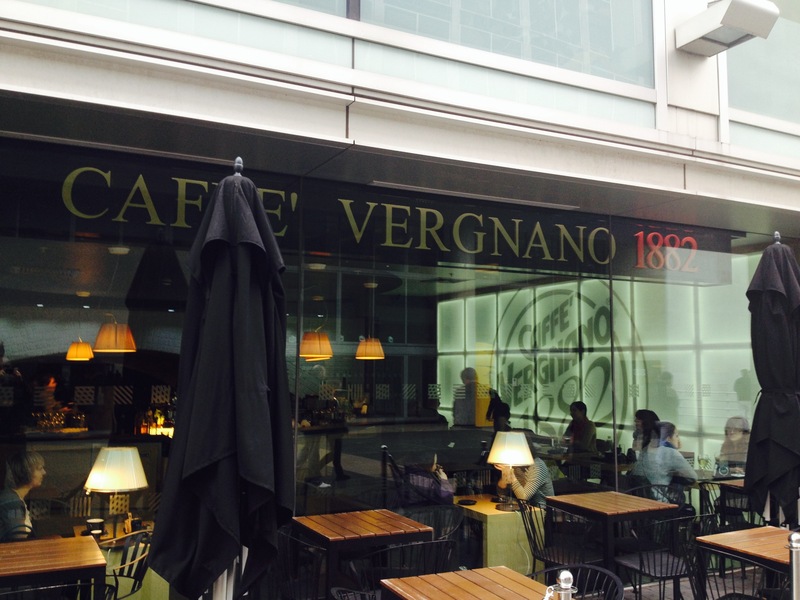 So, I was surprised to see on a recent visit that Caffe Vergnano 1882 has opened here. I was only familiar with its Charing Cross Road branch, which I’d always rather enjoyed, but on further investigations, I found it has four branches, including this one on the Southbank. A great creamy cappuccino. It is made the Italian way, with whole milk and the espresso combined with the milk. Its website has a section on how to make the perfect coffee and it’s worth a read – a very entertaining and no holds barred look at chain coffee and the perfect temperatures for cappuccino (between 44 and 55 degrees they claim). However, it seems some of this theory has not passed in practice with the large cappuccinos being a little over-milked and the coffee getting lost. 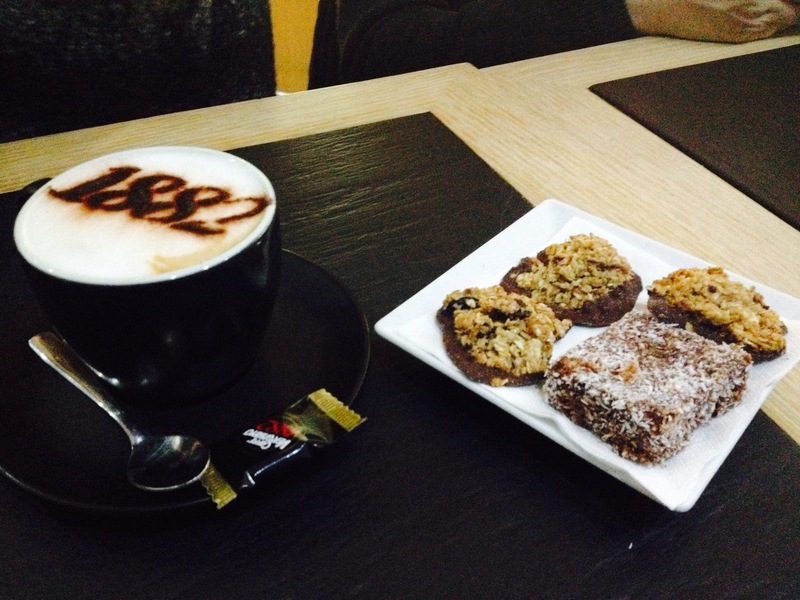 The regular, though, was a tasty, nutty blend and I even tolerated the chocolate topping. There is a great selection of drinks including Espresso 1882 Giacometta, which is an espresso with Meringue, Whipped Cream and Crushed Hazelnut. The cappuccinos range from a bargain £2.20 for the small to £2.90 for the large. Whiles its Charing Cross Road branch has a neighbourhood cafe feel, this Southbank venue is a different animal altogether. It feel more like a restaurant, which part of it is. 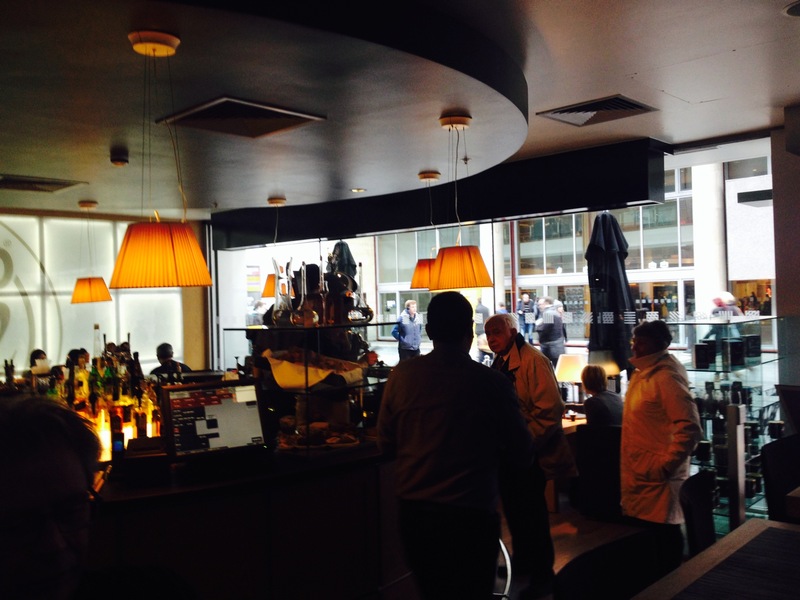 The cafe section has, despite its huge windows looking out onto the Southbank, a dark and cosy feel. Seating is circled around the main event – the baristas and huge espresso machine in the centre. At the back, under the arches of the bridge, is the restaurant area. In true Italian style, this doesn’t feel like a sit-down-and-chat cafe, but a stand-around-and-gesticulate-wildly cafe. The cafe food is mainly baked goods, but they were excellent little tasters. 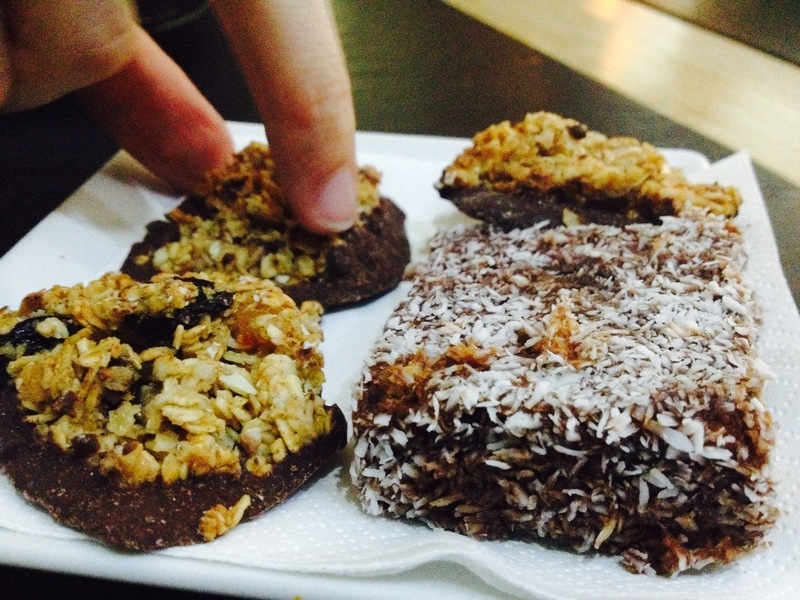 We tried some Florentines, which were only 50p or three for a £1. A great bargain and very tasty to boot. Just what you need with a coffee after a long day weaving in and out of tourists. However, I would have liked a wider choice. The larger, restaurant menu had a great selection of Italian favourites including the requisite pizza and pasta, salads and more. It was all very reasonably priced as well. Quick and too the point. Proper Italian service and the bar staff seemed to know what they were doing. No issues here. Not much in the way of extras. They did sell their own blend coffee along with a few other bits and bobs. And the Southbank setting it great but it would have been boosted by some more outside seating, but I guess they are restricted by their location. They do claim to have some events on their website, but there’s nothing listed yet. Their own coffee machine can be bought online, which is a beautifully designed piece of kit but I’m not sure I’d want to restrict myself to their own blend. To have a place with a bit of personality and that serves a decent coffee at a good price on the Southbank is Godsend. I’ve a feeling it will be packed in the summer though.